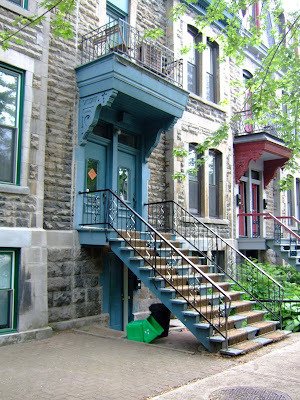 If it weren’t for my three little kitties at home whose mews and headbutts I was missing, I wouldn’t have minded staying in Montreal another month or so. The weather was amazingly warm, actually a bit sweltering during the daytime, but I love it when you can go walking around outside in the evening comfortably without a jacket. 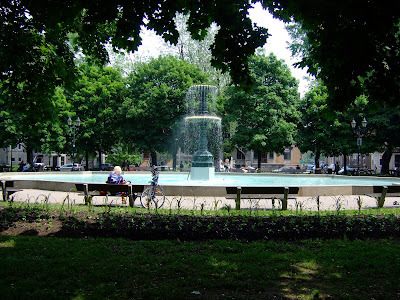 We stayed in a vacation rental apartment right at the Square St-Louis, which turned out to be a perfect location for walking to many things and also just a few steps from the Metro station for anything farther away. After all the poutine buildup, I don’t know how this got pushed to the last evening of our trip, but it was well worth the wait. 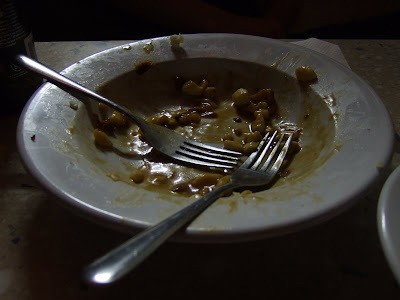 After consulting Montreal Poutine, we identified one of the highest ranked poutine places that was located within walking distance of our flat, La Banquise. 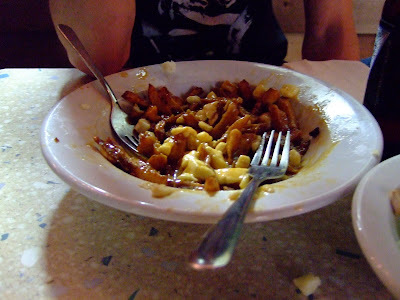 They offer something like 20 kinds of poutine (i.e. 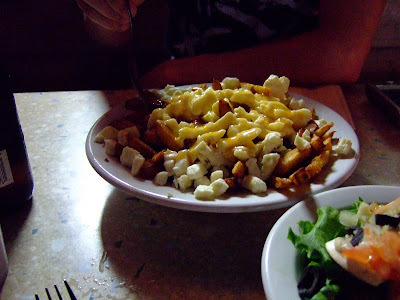 with extras like ground meat, bacon, onions, etc) but we went for the Classique of fries, gravy, and cheese curds. Did we like it? I think the pictures speak for themselves. Loved it! 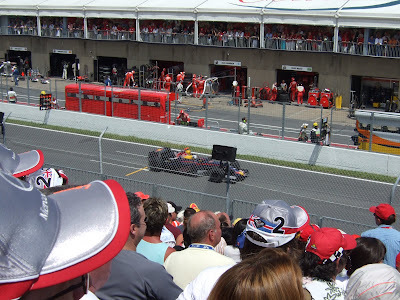 The primary reason for our trip to Montreal was to attend the Grand Prix du Canada. Now, I don’t really follow Formula One, and I’m not especially into cars and such, but the race was amazing. The cars were so loud and so fast, the driving is truly impressive. 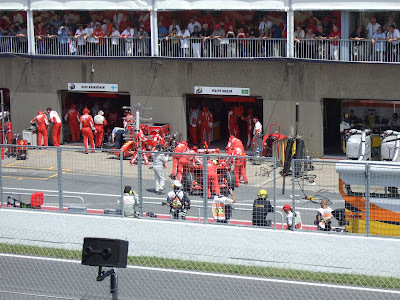 We sat right across from the pits so we could watch the mechanics in action. 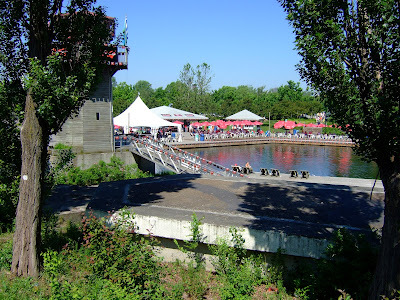 Circuit Gilles-Villeneuve is located on an island right in the city and is full of trees and grassy areas for cooling off in the shade. Congratulations to Lewis Hamilton on winning a GP during his first season with F1. Little independent stores pretty much everywhere. I’m totally jealous. 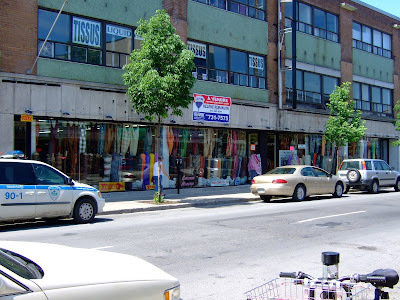 On our first day there as Tim and I walked along Blvd St-Laurent and Ave du Mont-Royal, it seemed every few blocks there was a fabric store or a notions shop. 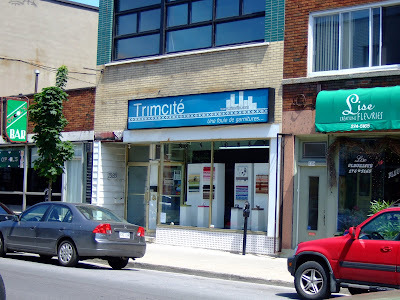 The day after the race, I rode the Metro to Montreal’s “fabric row”. 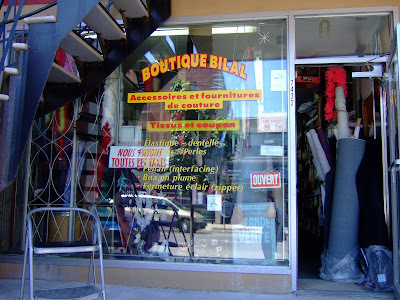 On Rue St-Hubert starting at Rue Jean-Talon, then north several blocks, every 2nd or 3rd storefront is selling textiles (quite a bit of home dec which I skipped, but plenty of fashion fabric). Now, I’ve never been fabric shopping in NYC’s garment district, but this is sort of what I imagine it would be like. There’s a whole spectrum – from tiny shops with rolls of fabric piled so high the words “fire hazard” come to mind, to beautifully organized, showroom-like spaces. I really wanted to take some pictures inside these shops but there were so few customers inside these small places I would have felt awkward doing so. I came away with a few souvenirs, of course. The denim (only 6.99 CAD/meter!) will be used for another pair of Hot Patterns sailor pants. 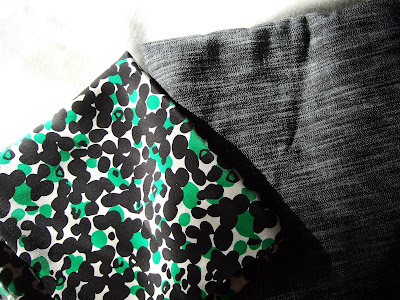 The black, white & green print silk will become some kind of blouse. And the trim’s destiny – TBD. 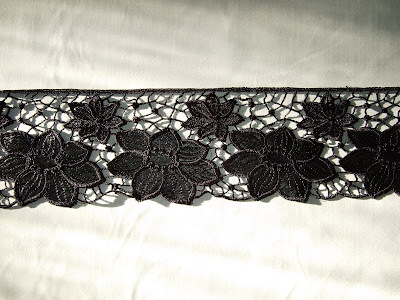 The flowers are pleather, it's from Trimcité, I could not believe the selection of trims this place has. Aisles of it. I'm not a big trim person, but this place could convert me. Now I need to settle in with my laptop and a nice glass of wine so I can catch up with the hundreds of news posts in my Bloglines account from all the prolific bloggers out there! Welcome back! 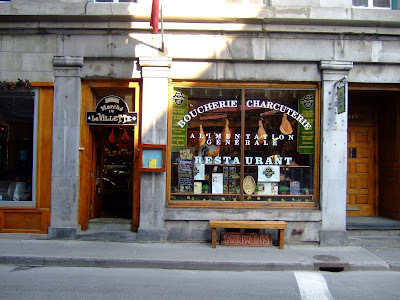 I'm glad you tried the poutine and got to fabric shop. That gren and black fabric is gorgeous. Hello... Learned about your site via Carolyn @ Diaryofasewing fanatic. Great pics of your vacation and your souvenirs are a gem... totally love the trim, which I am seeing a lot of this summer. Welcome back! You missed wonderful weather in Seattle: sunny and windy, felt a lot like Hawaii but a little cooler. Rained Saturday--and why not? Got to visit Lynnwood's Daiso. Sadly, not as much sewing stuff as the one in downtown. I love, love, love the trim! Pleather flowers - now I am going to have to go on the hunt for some in NYC! :) Glad you had a good time in Montreal!